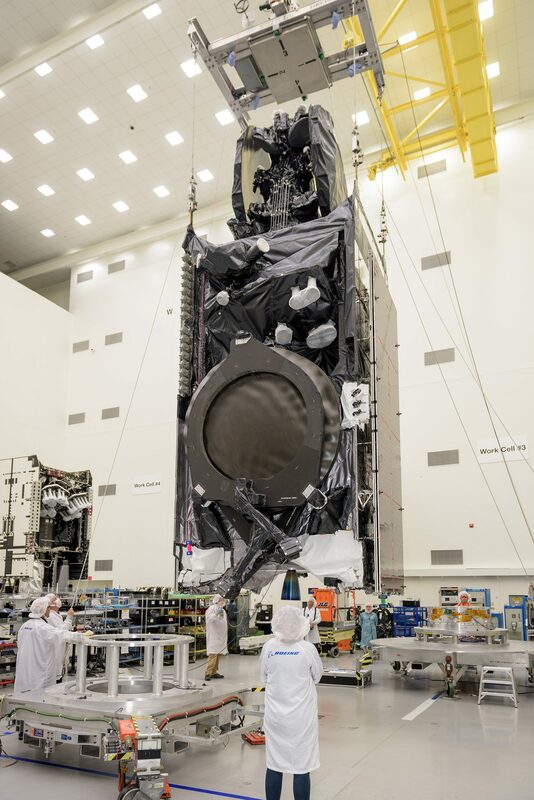 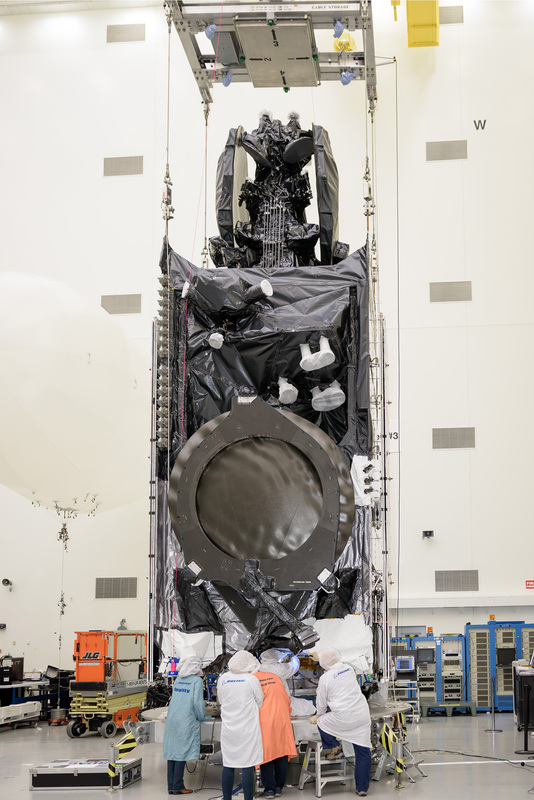 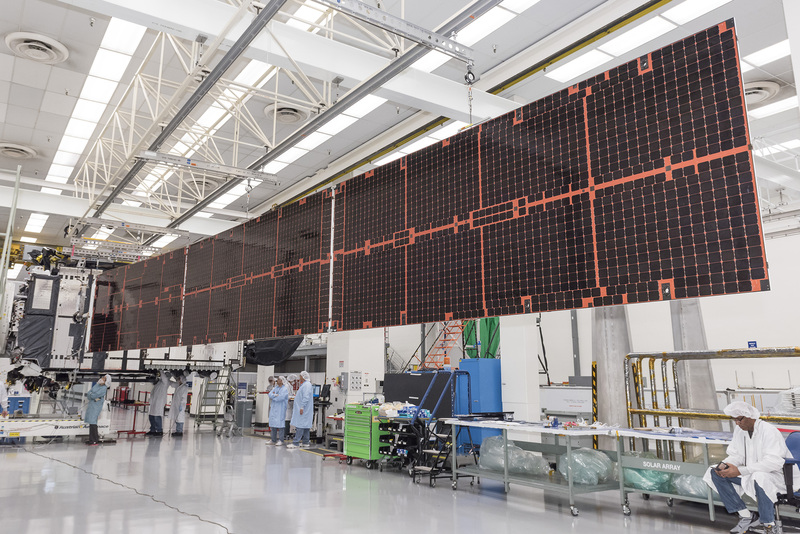 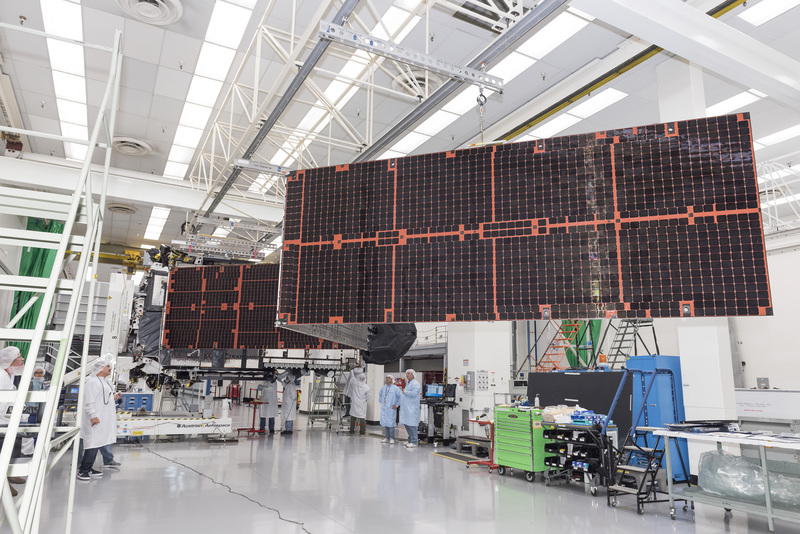 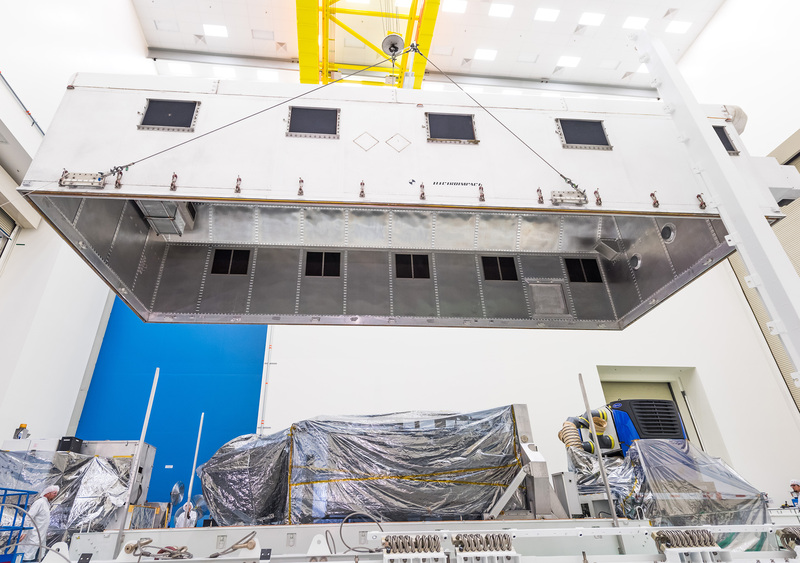 The Intelsat 35e communications satellite undergoes final testing before being packaged for shipment to its Florida launch site to take a SpaceX Falcon 9 on a high-energy trip into Geostationary Transfer Orbit. 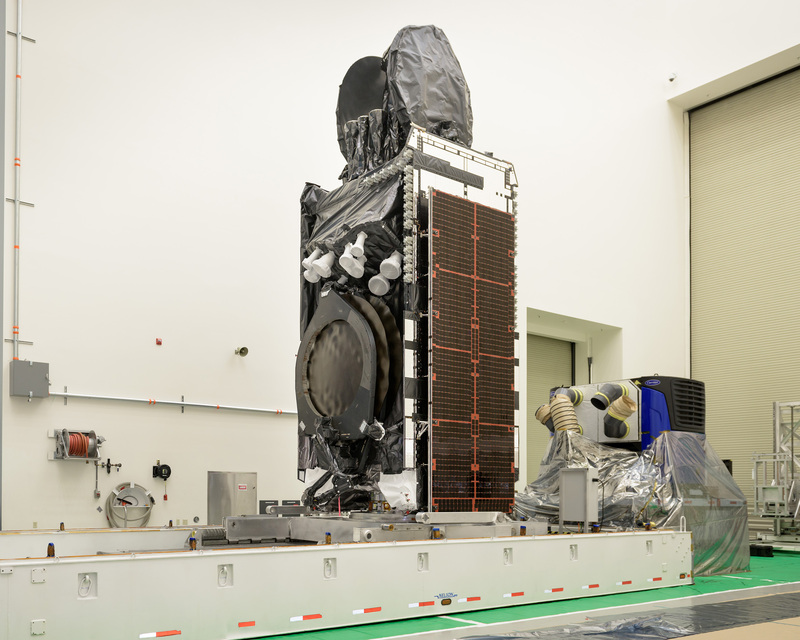 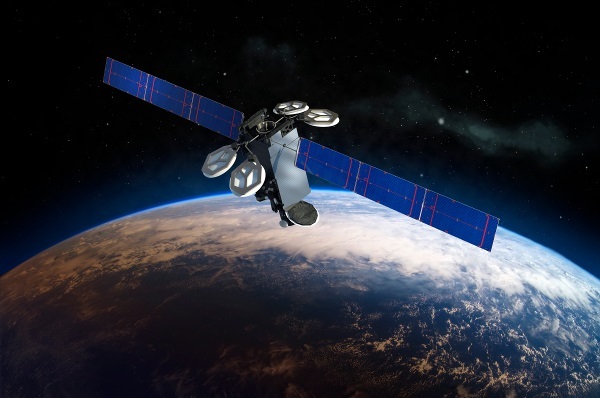 Taking up station in GEO, the satellite will become Intelsat’s fourth ‘Epic’ asset, designed to deliver multi-band coverage with frequency re-use to create a high-capacity, high-flexibility system that can deliver the entire palette of communications services on a global scale. 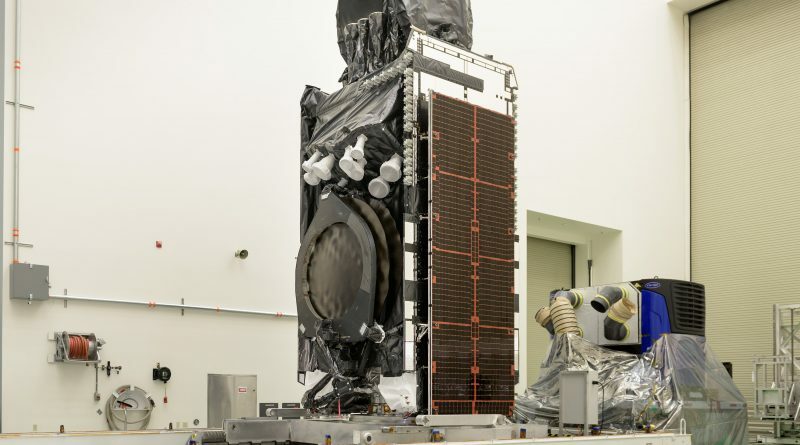 Weighing in at around six metric tons, Intelsat 35e will ride on an expendable Falcon 9 rocket that is becoming a rare species these days as operational re-use looms on the horizon.